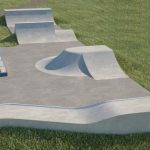 North Wingfield skatepark is an all concrete skatepark that can be found in a field in the centre of town. It is primarily made up of ramps arranged in the usual squared arrangement. On one side of the park is a mini ramp with a flat bank and quarter pipe running off the top platforms and adjacent to these are another quarter pipe and flat bank. In the middle of the park is a driveway and a mellow pyramid and the return ramps here are made up of a bowled corner and a flat bank that is angled to face inwards. 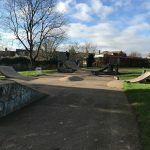 This is a nice local park with smooth surfaces and a decent set of obstacles, it would be a great place for beginners to come and practise the basics and also for more experienced skaters to fine tune those harder tricks. 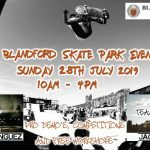 Chesterfield train station: As it is a long distance from the station it would be recommended to get a bus or a taxi to get to North Wingfield skatepark. 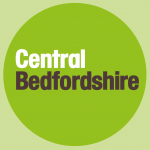 Deincourt School bus stop: Exit the bus onto Chesterfield Road and the park, where Noth Wingfield skatepark can be found, will be in sight.